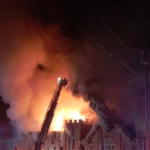 STATESVILLE, N.C. — A massive fire ripped through a church in Statesville overnight. 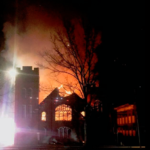 Fire officials say a fire brought down and completely destroyed the old Western Avenue Baptist Church. Some of the flames are still smoldering. 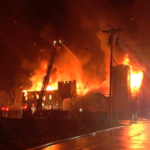 The incident is considered a total loss, firefighters say. 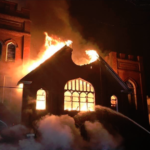 Investigators say it could take several days to figure out what sparked the fire because of the severity of the damage.